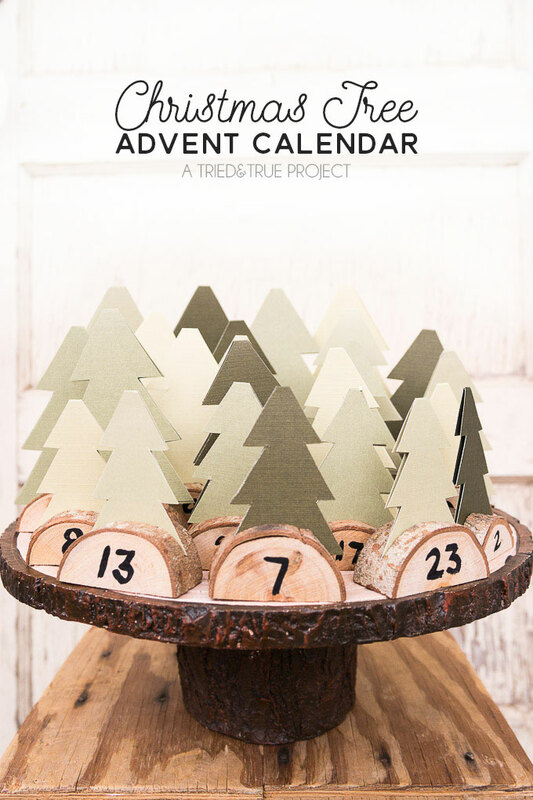 Looking for some great ideas for Christmas Advent? You’ve come to the right place! 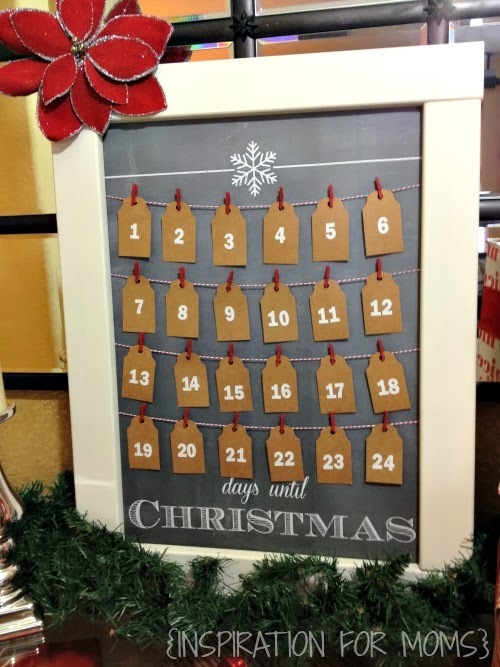 Whether you celebrate the Advent season, or if you’re just looking for some great ideas to countdown the Christmas season, you’ll love these! Click the blue/gray links to be taken the source for more information. 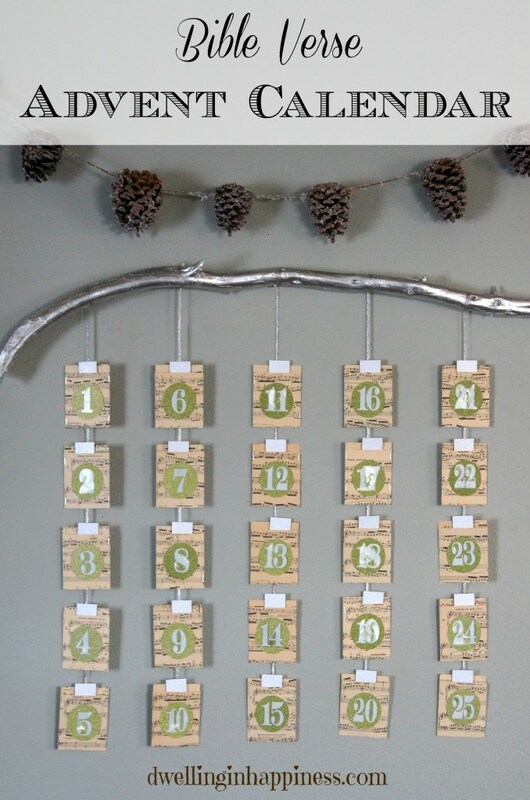 These are adorable countdowns, and I’d love to hear how your family celebrates during Advent. 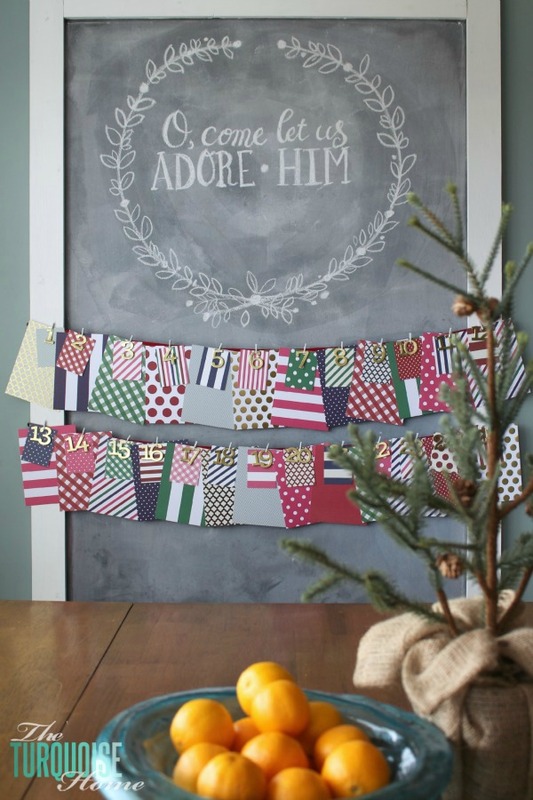 A great way to use leftover scrapbook paper! 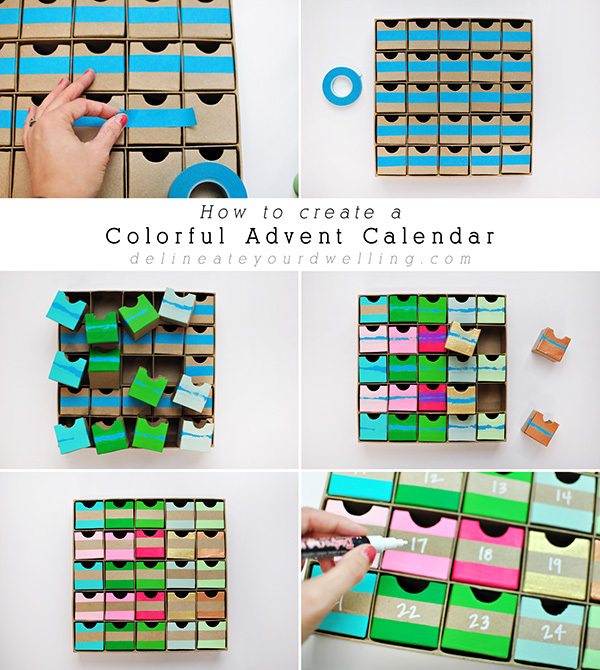 You could easily use this same idea year after year. So lovely, and you could also use a blanket ladder if you already own one of those. Cami also has ideas on her blog about what to put inside the bags. 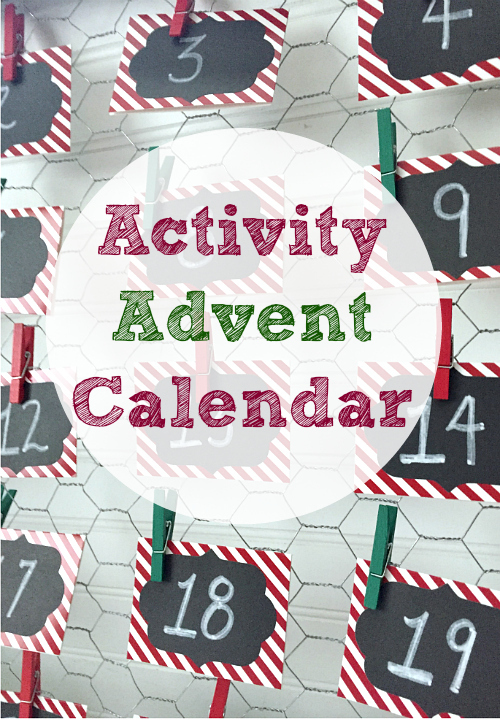 Great ideas for activities to do during the Christmas season in this post! 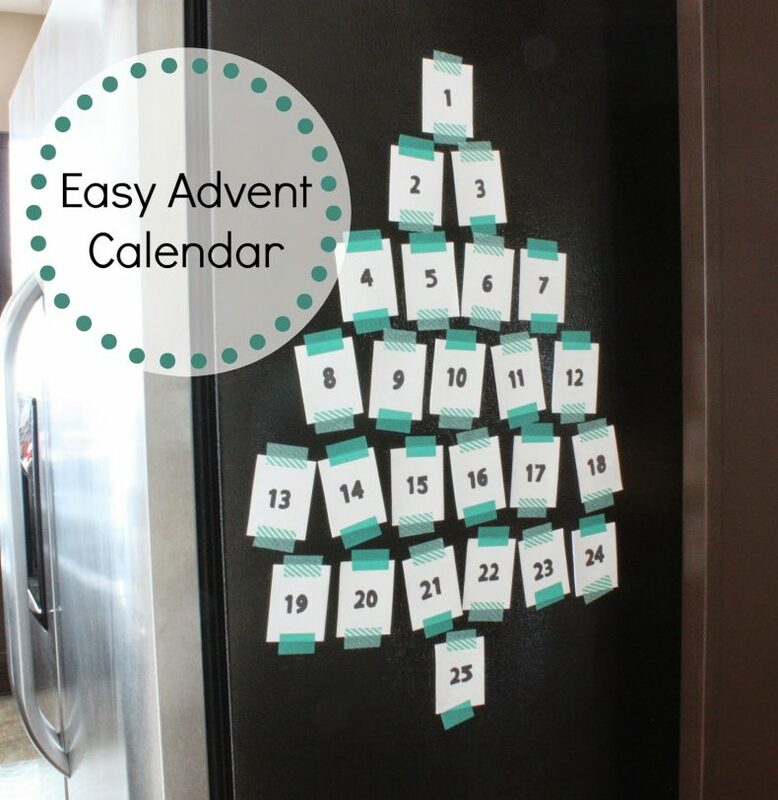 Start saving your cans if you love this idea! The little boxes can be purchased from Amazon, and she links them in the post. 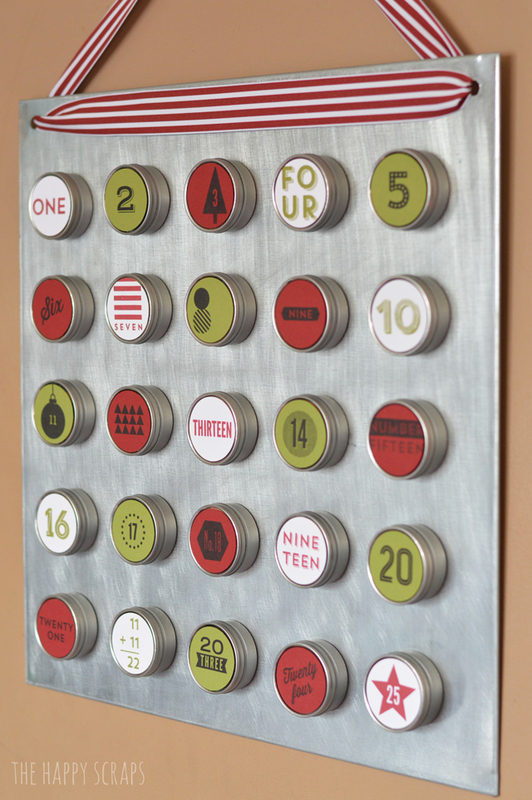 Very easy to customize to your own decor style. 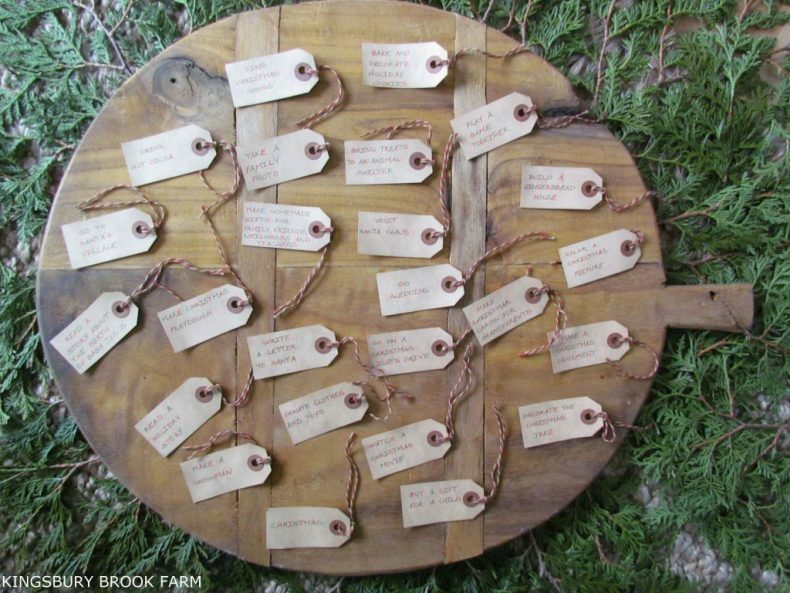 Love this unique idea with photos! This calendar is so cute! You need to click over to see the other pics and the easy directions. Great way to use a printer’s tray! 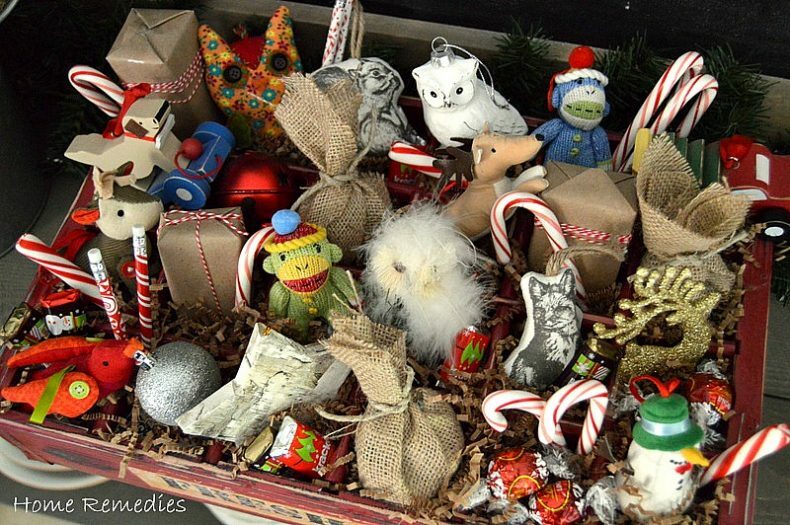 Oh, how tempting it would be to punch all those little tissues! Very cute craft. 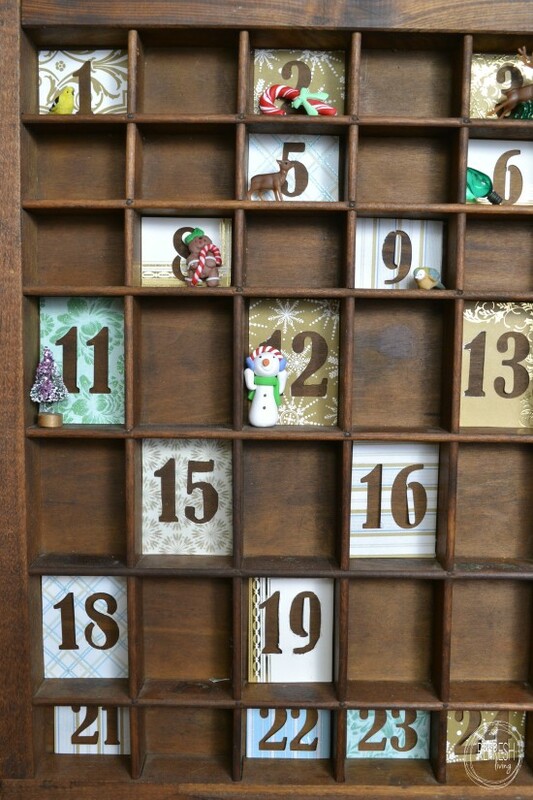 Crates often have 24 slots, which makes it perfect for Advent! Very pretty and you could use it every single year. Fill these little tins with whatever makes you happy! 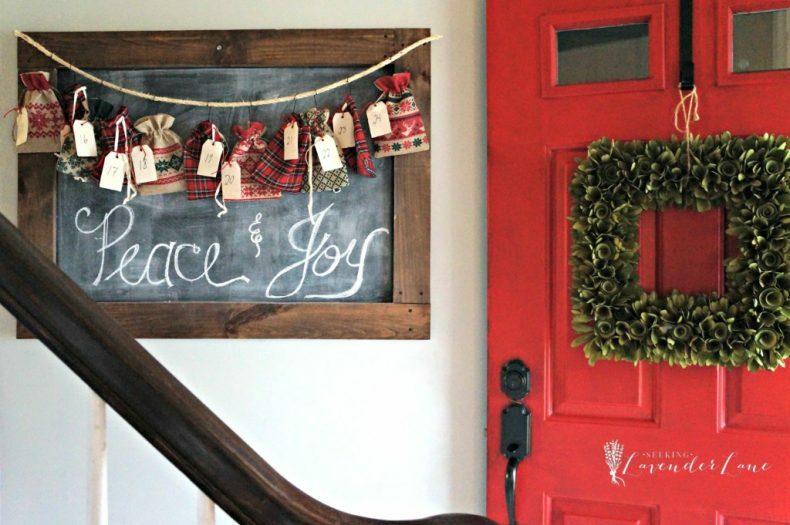 Great ideas for your family during the holidays. 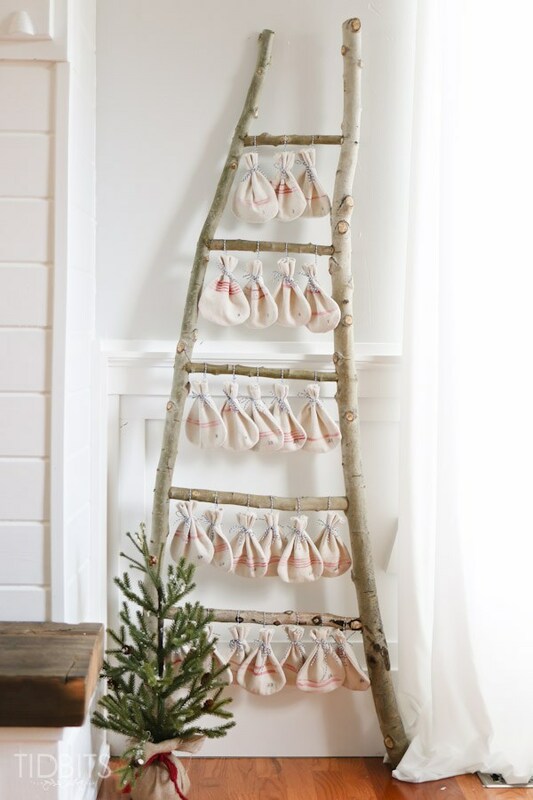 Step by step directions for this pretty advent garland! Any craft that contains chocolate is always a hit! 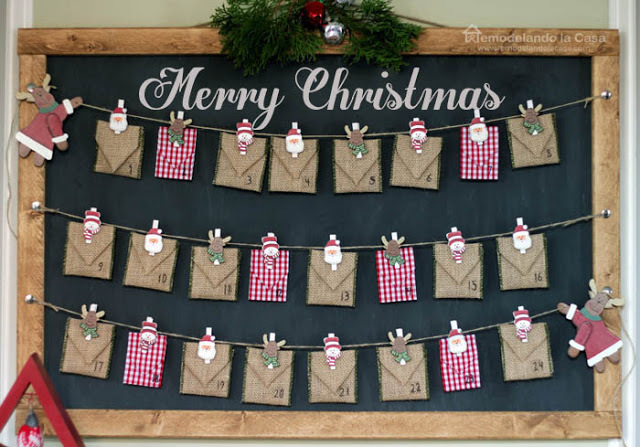 Print the chalkboard background, and you’re halfway done! Really gorgeous next to the red door! 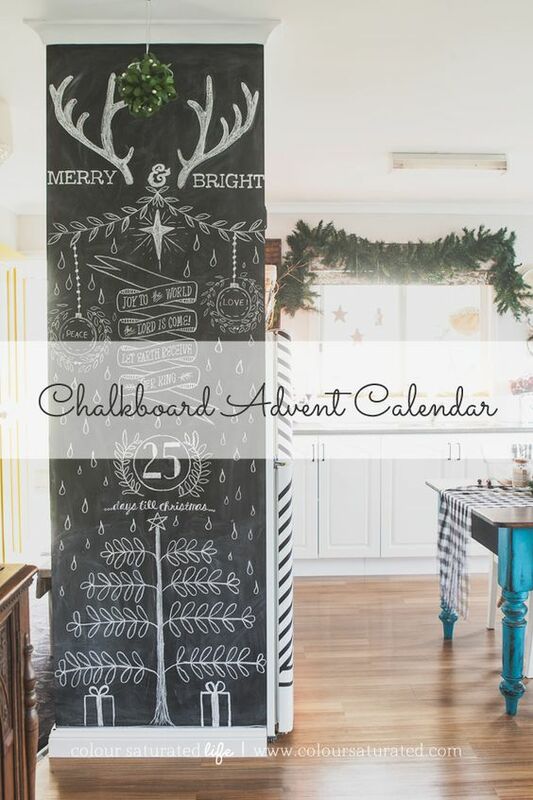 Thank you so much, Beth for featuring my Chalkboard Advent Printable. 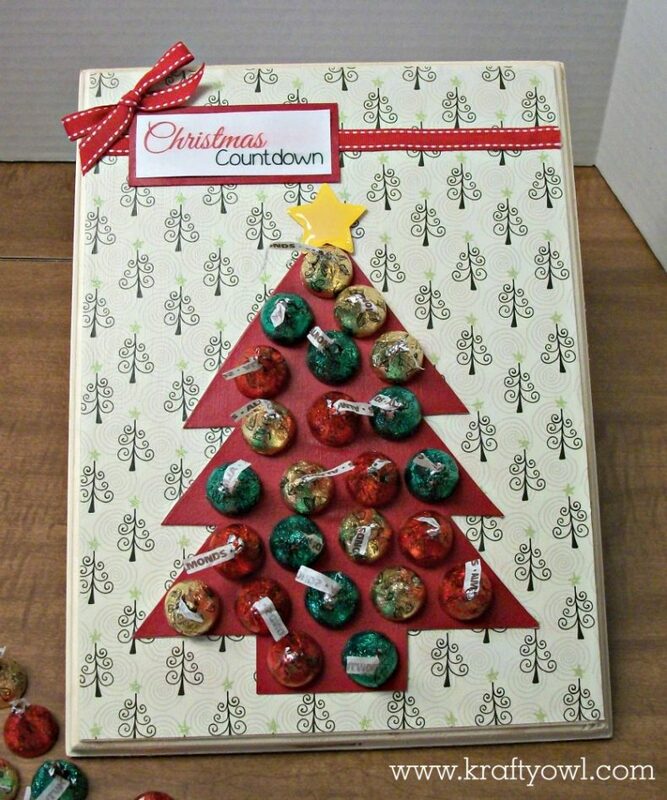 Tons of fantastic advent calendar ideas here! Pinning! 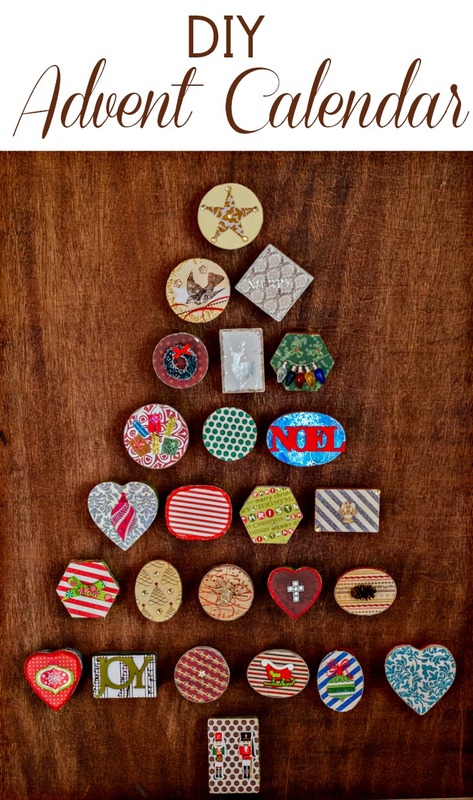 Great round up, I love a handmade advent calendar. 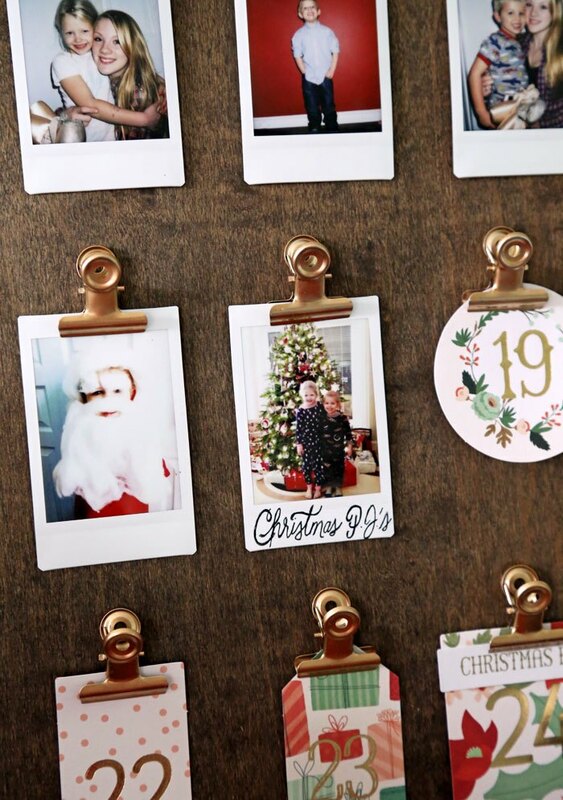 I think the Christmas photo one is a really sweet idea and would be lovely to make for grandparents. 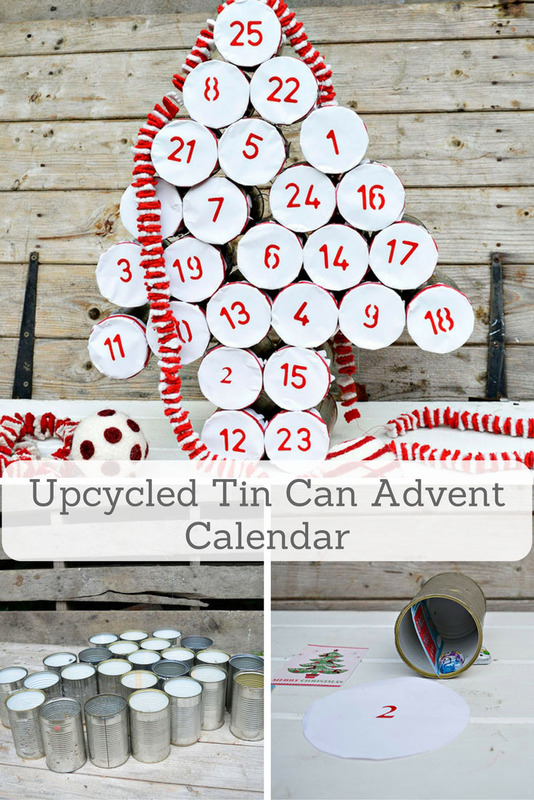 Thank you for including my tin can advent calendar.